This post is part of our New Mom Success Series, where we’re taking an in-depth look at the (1) physical-nutritional and (2) mental-emotional needs of brand-new moms, especially in the sacred first six weeks after birth. To learn more about the whole series, and to set the proper foundation with a powerful vision-casting exercise, click here. 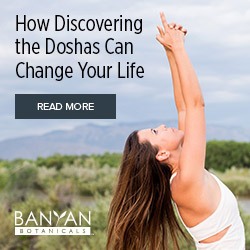 To learn more about the physical-nutritional component, click here. Check out the other new mom nutrition myths: Myth #2, Myth #3, Myth #4, Myth #5, Myth #6, and Myth #7. And now, welcome back to “Why common nutrition advice for new moms is all wrong (and what to do instead).” Here’s Myth #1. This is probably the most common piece of nutrition advice for moms-to-be. Well-meaning folks—family, friends, authors, bloggers, even birth workers and other experts in perinatal care—love to impress on expectant moms just how busy they’ll be after birth. You won’t have time to cook, they advise, so head off that problem now with a meal-making frenzy to outfit the freezer. They’re right. You will be really busy after birth. (For first-time moms, it can be hard to fathom beforehand how a seven-pound being who sleeps most of the day can commandeer just about all your time and attention, but it’s true.) And you don’t want to be strapped for meals and ready to reach for takeout and convenience foods. But the freezer isn’t always your friend in this commendable endeavor of planning ahead. In fact, frozen and leftover foods can spell serious trouble for a brand-new mom. Think of digestion as a fire. It’s a natural phenomenon that processes larger, gross inputs into finer, subtle outputs. It’s what makes all the healthy foods you eat useable by the body. Ancient wisdom discusses this fire at length, and how to tend it properly to stave off disease. This is no small matter: improperly digested food due to poor digestive fire produces internal toxicity that is at the root of every single health condition. We now know some of the constituents that make up this fire—enzymes and acids and bile and hormones and more—but you don’t need to understand the science to appreciate the analogy. Picture inside of you a metabolic fire that governs the digestion, absorption, assimilation, and transformation of food. You want to keep it properly tended, neither a raging inferno nor flickering embers. After the intensity of childbirth, the digestive fire is very weak, so you must gently encourage it. But what extinguishes a fire, especially one barely mustering a spark? Anything cold. While you won’t be sinking your teeth into dinner straight from the freezer, reheating doesn’t completely dispel the cold quality inherent in food that’s been chilled and stored for some time. Furthermore, leftover food gradually degenerates and loses its vitality. That’s definitely not what you want to be eating when you’re tending a delicate fire and nourishing new life! As a result, new moms consuming frozen, chilled, or leftover foods start to experience gastrointestinal complaints, like gas, bloating, burping, constipation, and general indigestion. This doesn’t bode well for their nutritional status and recovery, not to mention their comfort. Or baby’s comfort either, for that matter: indigestion in mom can impair milk production and baby’s nutrition and digestion as well—all in all, a quick recipe for an uncomfortable, and even colicky, baby. Poor digestion also contributes to poor mood. Ever notice how constipation makes you irritable, a sugar binge sends you on an emotional roller coaster, or certain substances spike your anxiety through the roof? Even if we hesitate to admit it, food (and whether our body can utilize it) affects how we think, how we feel, how we respond to others, and, yes, how we perceive motherhood and our ability to care for our newborn—and our perception often becomes our reality. So as I said, frozen and leftover foods can spell serious trouble. Not just now but also later. And not just for your body and your baby, but also for everyone’s well-being. As with most popular advice, there’s a reason this one took hold, and there are elements of truth to it. After all, you do need to eat—generously and well—and baby won’t put up with mama slaving in the kitchen. Bonus download: What ingredients best support a new mom’s nutritional needs? Get our complimentary postpartum pantry checklist here! It shouldn’t be a struggle for mom to get the healing nutrition her body—and sensitive digestion—crave after birth. Without having to plan meals on the spot or prepare them herself to reheat later. That’s where help comes in, big-time. Rather than anticipating birth with a freezer full of premade meals, set yourself up for new mom success by rallying your community. Line up friends, family members, neighbors, colleagues, or others who can volunteer to make you a single meal after baby arrives. It’s little extra effort on their part, but collectively they can feed you for several weeks. To streamline the process, choose a single point person to recruit help via an online meal calendar like Meal Train or Take Them a Meal. Include your food preferences, so participants know how best to support your recovery. And yes, take that last part seriously: tell people what you want. You are the new mom, and people desire to serve you well. So go ahead: be bold, be clear, be specific, and communicate your nutritional needs. The upshot? You get easy, fresh-cooked meals—without having to freeze them first. Bonus download: What do you tell family and friends who offer to cook? Get our complimentary postpartum pantry checklist here! Seriously, download the checklist. Don’t rely on Pinterest. While the photos might make you salivate now, the ingredients will likely give your sensitive post-birth self a massive bellyache. Chicken enchiladas, cheesy lasagna, and chili con carne with all the fixings? Dad might appreciate a generous helping, but mom may quickly find her recovery sabotaged. I know, you may be chomping at the bit with a few objections. I hear you. I’m definitely pro-freezer, too. It’s a lifesaver for saving food. But remember what I said in the intro to this myth-busting series about all things, even good things, not being appropriate in all seasons? Right now, given mom’s and baby’s delicate digestive systems but heightened nutritional needs, cold and leftover food is off limits. Not everyone in the household need adhere to these strict guidelines, however. Partners and older siblings might stomach heavier, colder, or less-than-ideal fare. So prioritize mom’s needs with warm, fresh meals. If dad is craving a casserole (made with nutrient-dense ingredients, of course), thaw out that premade frozen dinner and let him nosh away. And while the moratorium on freezer food for a brand-new mom is largely all-inclusive, there’s at least one acceptable exception: homemade bone broth. Given its huge medicinal value, you might consider preparing a large batch in advance to thaw and cook into soups and other dishes. Otherwise, family members may enjoy reheated frozen food for easy meal planning, but you should consume freshly prepared dishes as much as possible in those first six weeks. 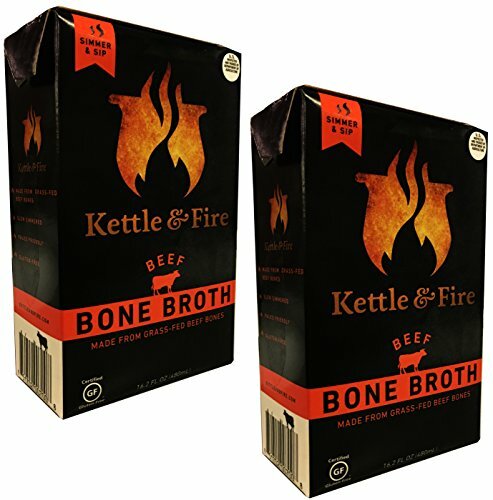 Curious about bone broth? Learn more. Or maybe you’re mulling over another objection. I hear you, too. It may be more challenging if you’re geographically or socially isolated. But it’s not impossible. If you don’t have close friends or family, reach out to others today. Be proactive and create the community you want to belong to. You’ll need that support as a new mom, and it is possible to find, even though you may have to get creative. Start planning ahead now, because postpartum nutrition—and indeed motherhood itself—begins long before birth. Wondering how to plan well before birth to prepare yourself for life with a baby? Check out our full postpartum guide. But don’t stop with knowledge—take action. If relevant, apply this tip now, for yourself and your family. How can you ensure mom gets fresh, home-cooked food with simple, postpartum-friendly ingredients in the first six weeks after birth? If you need help, snag this bonus download. Share what you learn with someone you know. Even if this tip doesn’t apply to you right now, it can likely benefit someone in your midst. Did a friend just have a baby? Bring her a meal and let her know why: because simple, home-cooked fare is essential to every aspect of postpartum recovery and you have her whole well-being in mind. Make sure she jumps on the bandwagon so she doesn’t fall into the freezer trap—or any of the other myths we’ll be unveiling in this series. Let your voice be heard. What’s your take on Myth #1? Do you agree, or disagree? What’s your experience with frozen versus fresh food after birth? Bring your comments, questions, insights, and objections to the Preparing to Parent community. We want to hear from you! Curious about us? Check out this FREE guide to hear our story—and get some tasty recipes to serve you well after the first six weeks of motherhood, too! Stacy Claxton, a Functional Diagnostic Nutrition® Practitioner, Ayurvedic Health Practitioner and Educator, and Perinatal Specialist, is one half of the dynamic duo behind Preparing to Parent, where she and her identical twin, Erin, are “growing families with purpose…on purpose.” This passionate sister pair loves caring for the tender and vulnerable bodies, minds, and souls of new beings and new moms and wielding words with impact on their holistic health blog. Join their family for free recipes and more.